On a recent October day if you had gone to the 5th floor of 800 Johnson Street in Victoria on Canada’s Pacific coast, you would have found Amber Crofts working on contact data on the leaders of British Columbia’s Aboriginal tourism industry for the province’s Ministry of Tourism, Sport and the Arts. The information is used when the Ministry plans events and needs to know the appropriate people to invite or involve. “We have about 200 Aboriginal owned-and-operated businesses and we are working to built upon that with educational sessions and training, and offering resources for Aboriginal entrepreneurs,” said Crofts, who is a Tourism Development Officer for the Ministry. Those 200 or so businesses range from adventure attractions on the coast to North America’s first Aboriginal owned and managed winery, the NK’Mip Cellars Winery in the interior of the British Columbia, a project of members of the Osoyoos Indian Band that produces Pinot Blanc, Chardonnay, Riesling, Pinot Noir, Merlot and Cabernet Franc. Still in her 20s, Crofts has focused on a career in tourism as a tool for community development since she was a teenager. In secondary school in Quesnel, British Columbia, she was involved for two years in the Canada program of the GTTP, the Canadian Academy of Travel & Tourism. “It was one of my favorite classes,” said Crofts. “The focus was around career planning and getting us thinking about about where we could see ourselves in the tourism industry,” said Crofts. “What I liked best about it was that it was based on experiential learning, where you could actually get into the field, do work terms or job shadowing and actually meet with industry people and get a real feel for the industry instead of just reading about it or presenting about it in the classroom,” said Crofts. Her academic training includes a Bachelor of Tourism Management from Malespina University College, which is essentially a business administration degree with a specialization in tourism, said Crofts. Her field experience, acquired before, during and after university, revolved around her hometown of Quesnel, where the timber industry is the main employer, where other industries are also needed, and where tourism is a natural option and fitted her interest in economic development and tourism. She learned about the lodging business by working for the two bed-and-breakfasts in nearby Barkerville Historic Town. She developed a walking tour for Quesnel based on the life and work of Chow Dong Hoy, who immigrated from China in 1902 and built both a thriving store which made him rich and a photography business which has kept his name alive as a recorder of the ordinary lives of Chinese, Caucasians and Aboriginal people. 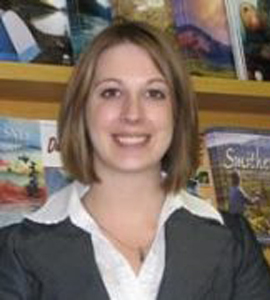 Before joining the Ministry in 2007 she managed the Quesnel Visitor Information Center. Crofts would like to see more involvement by members of the Travel & Tourism Industry in education. “There needs to be an increased collaboration between educational institutions and industry stake holders and people doing the hiring, like HR departments,” said Crofts. There is also a need for more internships, especially paid internships, said Crofts. And university graduates with business-related degrees in tourism also have a challenge: educating industry leaders about the value of what are relatively new degree programs. “They haven’t really wrapped their heads around that idea,” said Crofts.